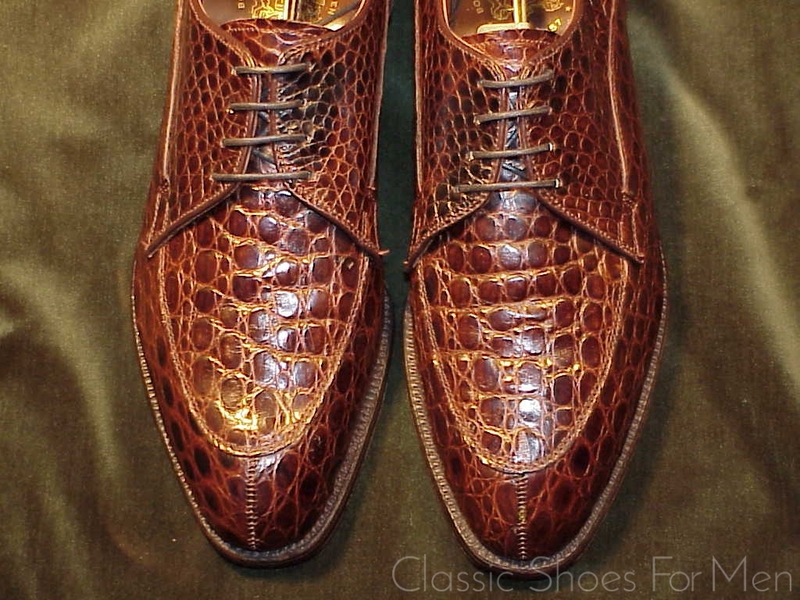 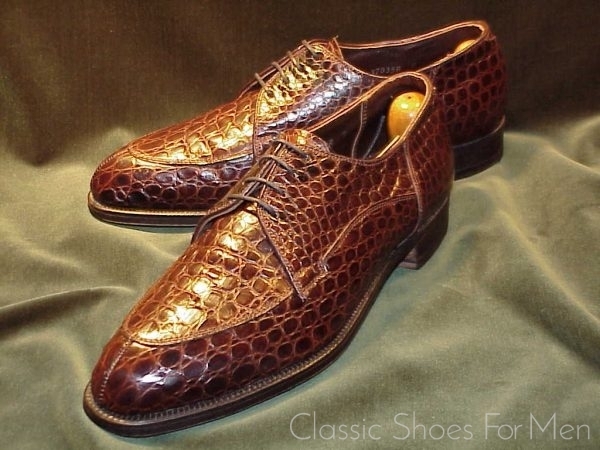 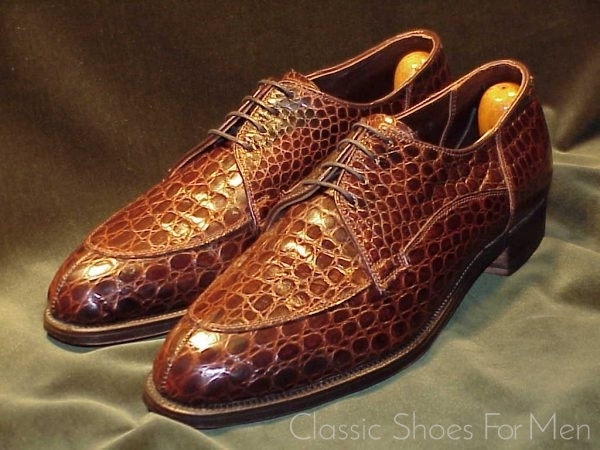 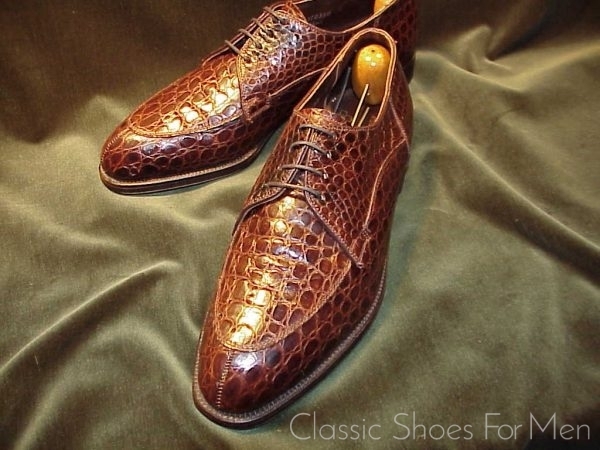 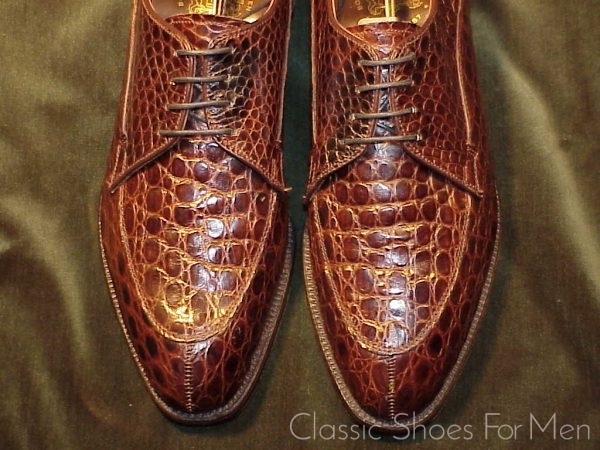 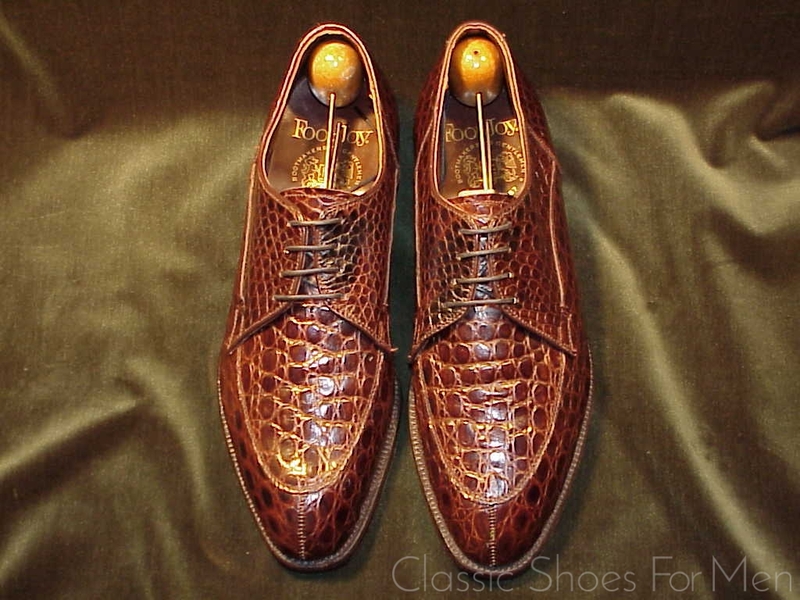 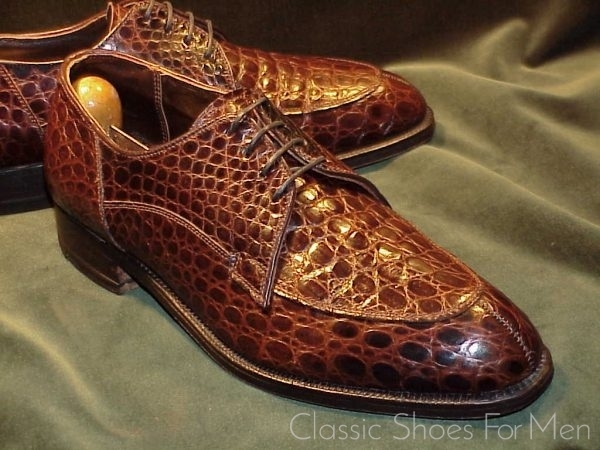 This present shoe and the few other alligators and lizards by Footjoy in the website represent perhaps the finest and the rarest golf and street shoes to be seen outside of a museum….and certainly the most beautiful. 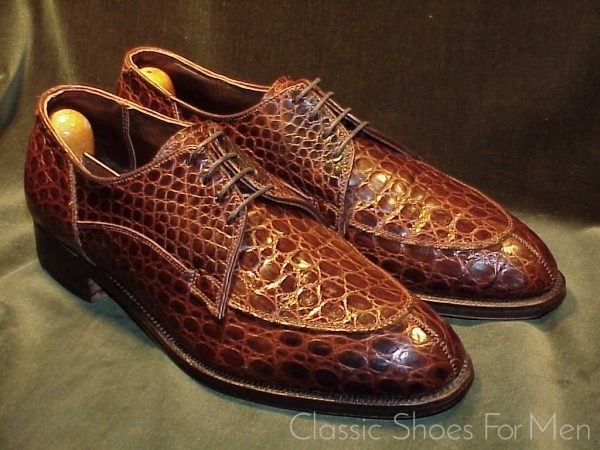 The skins are artfully arranged, with fine and coarse patterned pieces distributed for maximum effect, and all perfectly matched between shoes. 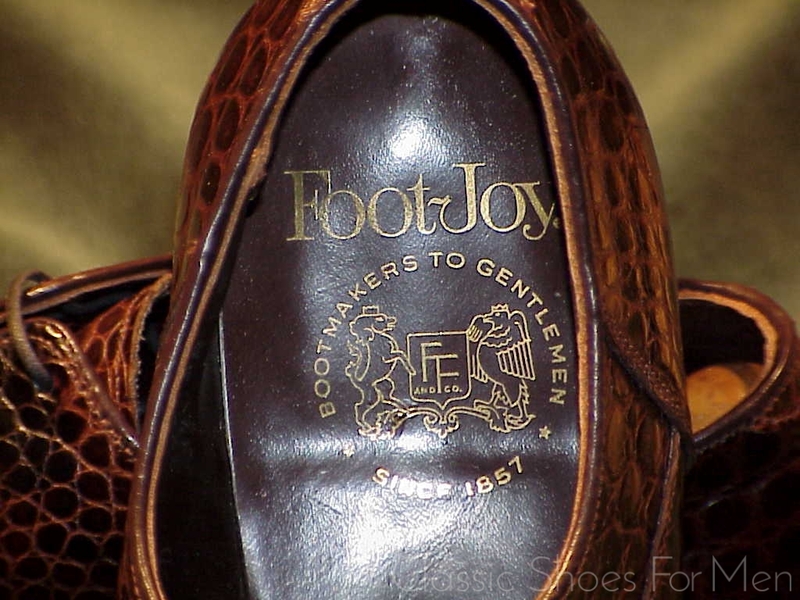 You will notice too that the Norwegian model is far less frequently seen that FootJoys signature Cap-Toe Model. 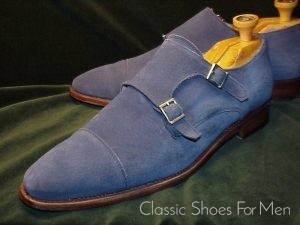 Shoes of this quality, with Goodyear or hand-sewn soles, must not be compared to the glued together products from Italy and elsewhere; these are finely hand-made shoes that today would cost literally many thousands. It is important to note that in March 2008 FootJoy closed it last American-based factory in Brockton, Massachusetts. 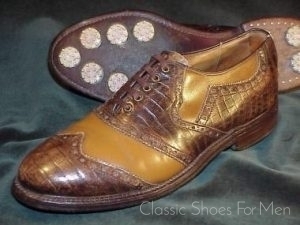 While the firm continues to produce large numbers of sneaker-like golf shoes in its off-shore facilities, this last bastion of old-world craftsmanship in golf and street shoes is relegated to history, and with it the last source for us of special-order lizard, alligator and other exotic-skinned golf and street shoes, the finest in the world. 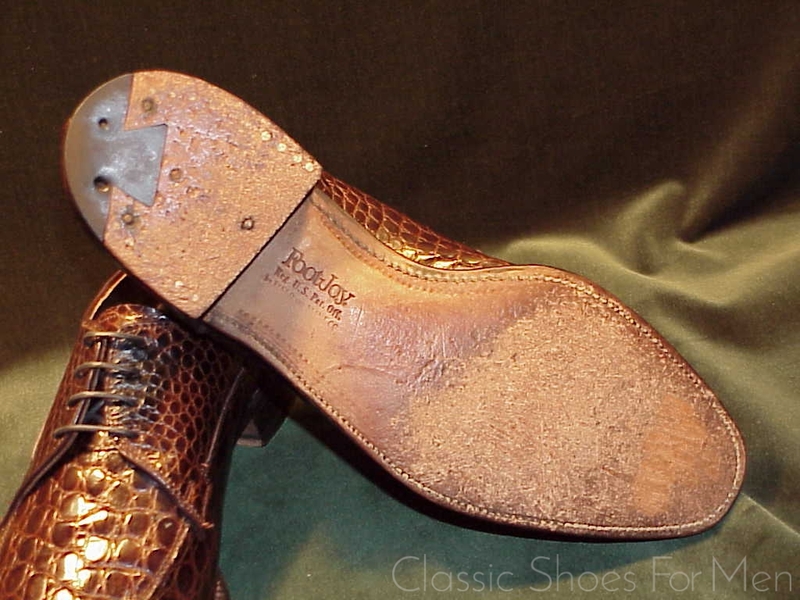 At this writing the small coterie of craftsmen who remained to perform repairs have departed too, along with the other 103 highly skilled craftsmen sent out to pasture, some of whom who had worked in the Field Street Factory since the introduction of the “Classic” line of shoes in 1959. 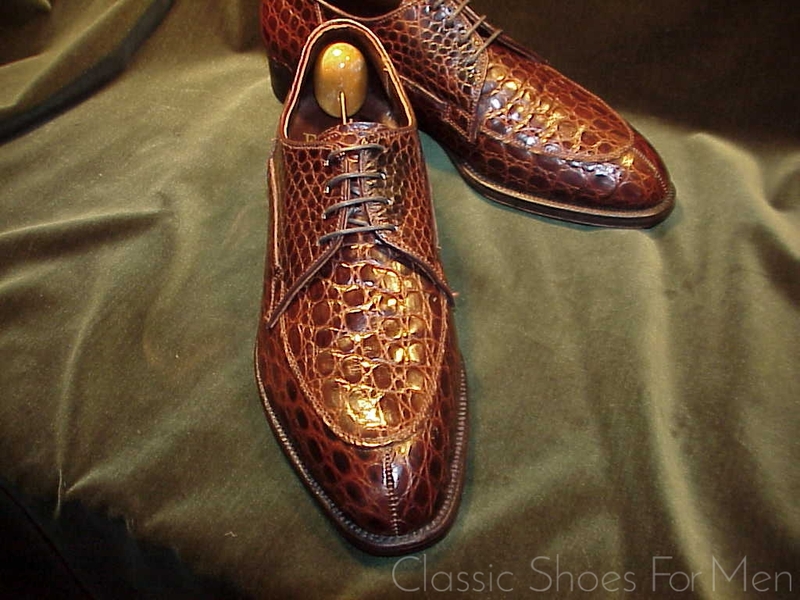 This shoe represents the end of greatest era in American shoemaking. 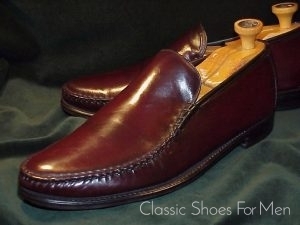 US 7.5D.....UK 6,5E.....Continental 40-40.5D, for the medium width foot. 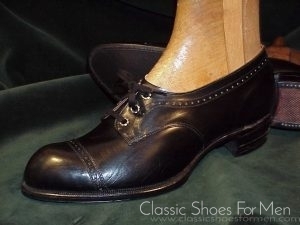 These are in the finest condition imaginable without being brand new. 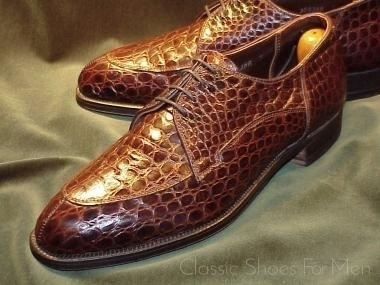 They appear to have been worn one only on pavement, what I call "neuwertig"...like new, the finest example of this shoe that I have seen in 20 years. 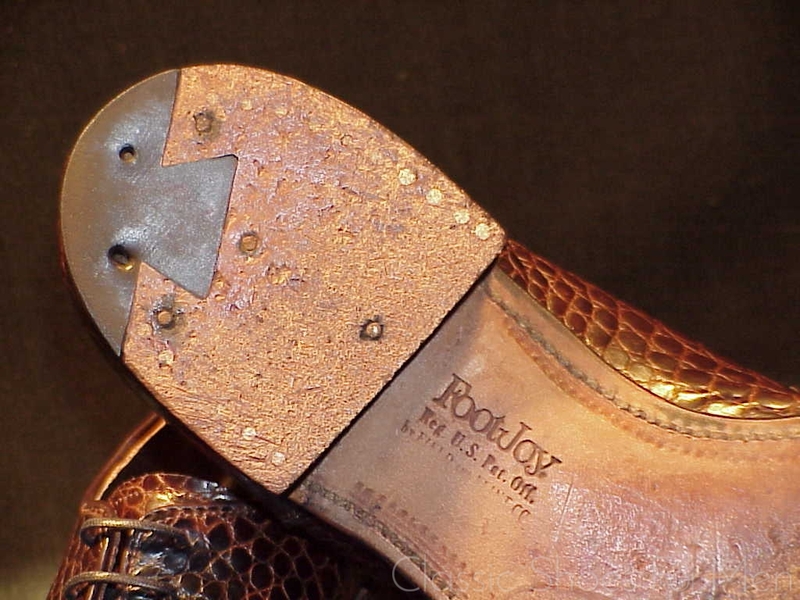 40-40.5D.... (7.5D US).... (6.5E UK), für den mittel-breiten Fuss. Superb, neuwertig, einmal getrage, wie neu.